Carl! 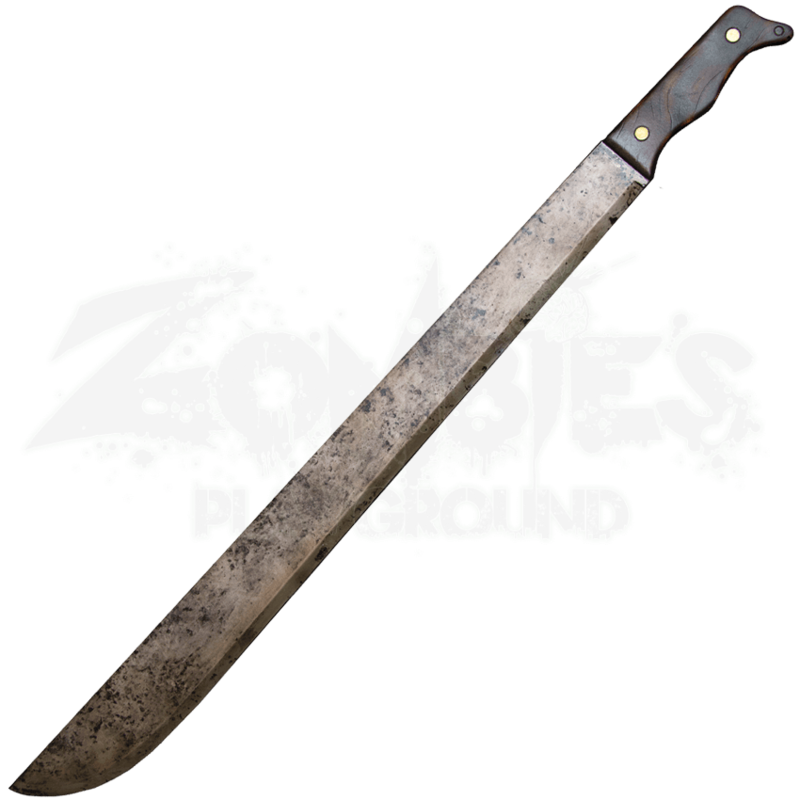 You will definitely be able to protect him at your next costume party with this licensed Rick Grimes Machete Prop. This amazing prop made from high quality polyurethane looks like real stainless steel with wood finished hilt. Rick Grimes is one of the most famous walker killers there is, and you will swear that you are holding the original screen used machete. The detail on the blade gives the machete a rough and rugged look. 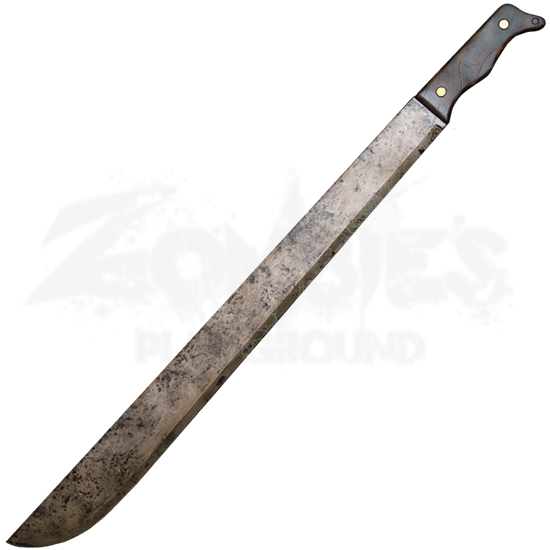 No Rick Grimes costume is complete without a trusty machete to fearlessly cut down walkers, so get your hands on this officially licensed Walking Dead prop before your next event!